Clean hotel facilities. Clean rooms. Spacious rooms. Friendly atmosphere. Harper MT. 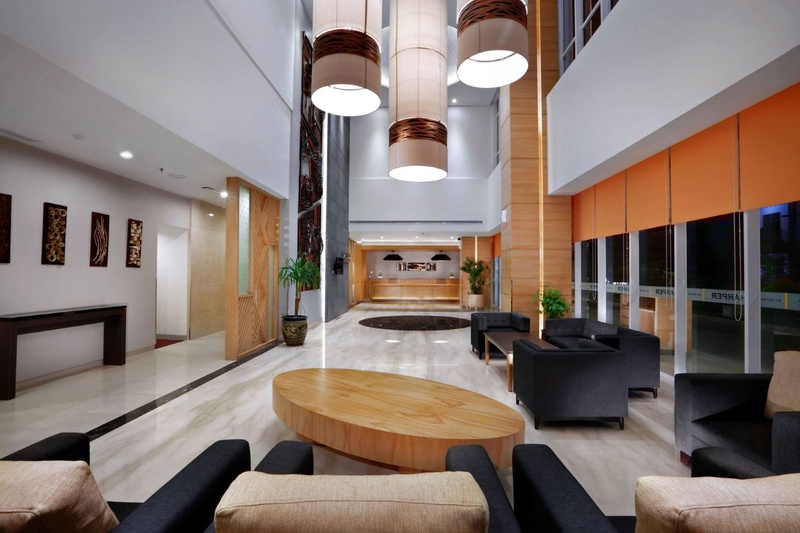 Haryono is located in Cawang, one of the busiest business districts in Jakarta. 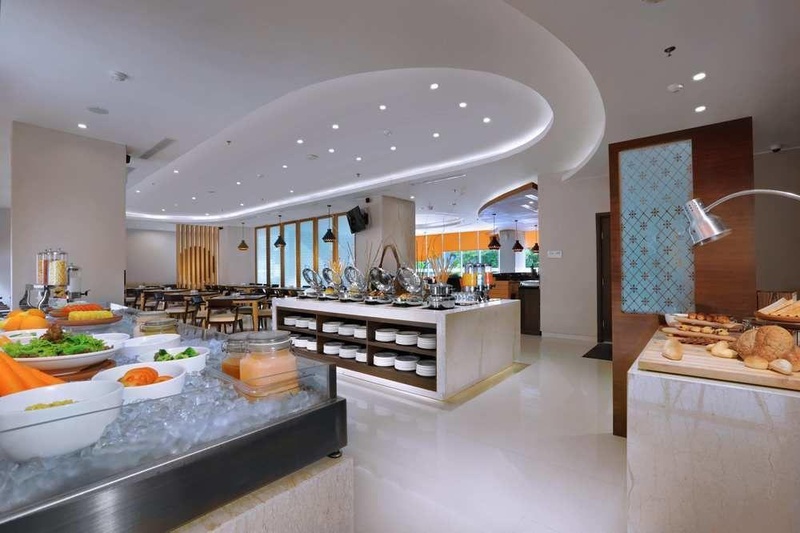 The hotel is easy to reach from the Airport and Dock Shipyard, whilst also providing easy access to the Toll Road that connects Cikampek, Bogor and Bandung. The harper, while definitely a modern hotel, is infused with rustic charm and warm, comfortable and almost residential feel. The hotel combines both comfort and functionality with interiors that use warming hues to create a pleasurable atmosphere in each room. 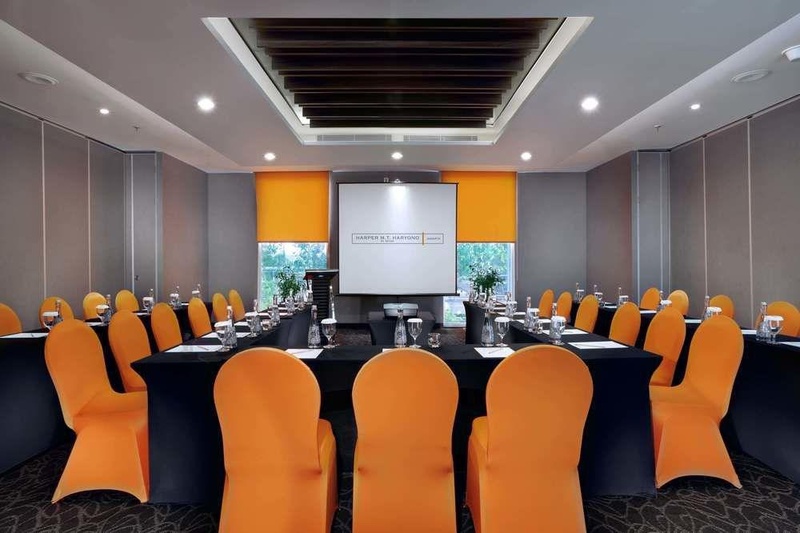 For meetings, a ballroom is on hand to accommodate up to 250 persons, whilst the signature Rustik Bistro and Bar offers a relaxing spot to dine and unwind. The Harper is an extraordinary hotel designed for people from all walks of life, and as such , it is ideal for either a short stay vacation or a productive business trip. Clean bed sheets. Good cleanliness. Clean hotel. Delicious breakfast. Expansive breakfast buffet. Nice breakfast menu. Excellent checkin. Staff very helpful. Amazing hotel staff. Clean bed sheets. Private balcony. Well maintained rooms. Yummy cake. Traditional cuisines. Decent restaurant. Near malls. Close to airport. Mosque could be heard. Swimming pool a little bit small. Dirty swimming pool. Nice swimming pool. Was unable to get internet access. Poor internet connection. Poor internet connection at my room.